Going back to school or work after a break – holiday, summer, or otherwise, can be a struggle. It’s easy to get used to lazy mornings, pajamas all day, and raiding the fridge whenever the mood strikes. Routine is good, it helps us (me especially!) be more productive and overall happy, but getting into routine is sometimes a bit of a beast. To ease the transition I love the idea of making lunch a little more special. 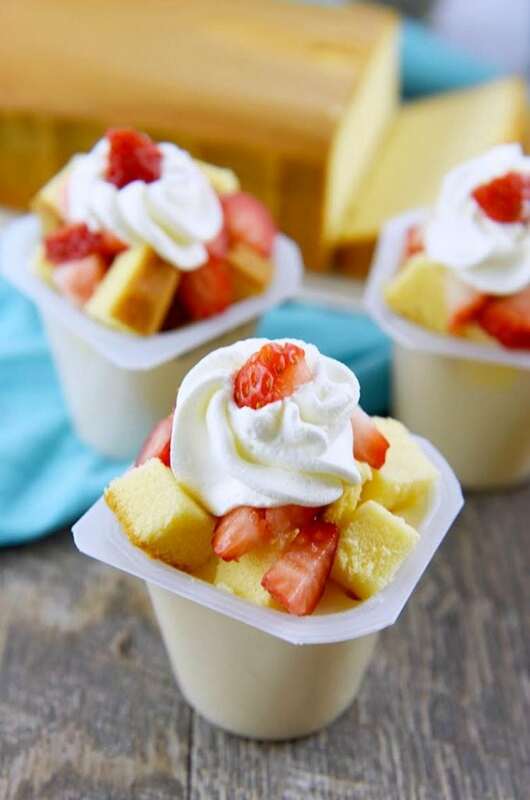 Today we packed Strawberry Shortcake Pudding Cups, but the idea can translate to so many different flavors and mix-ins! 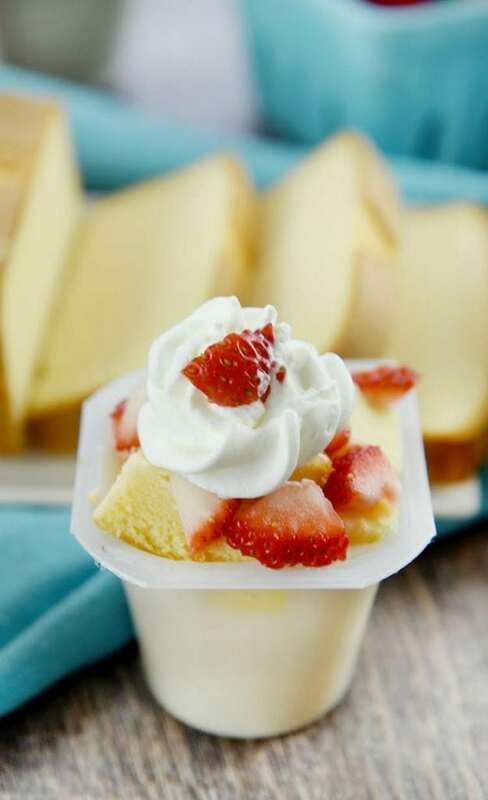 This is really more method than recipe, but really, how fun would it be for your kid or spouse to open their lunch and find this make-your-own strawberry shortcake pudding cup? If strawberries and cake aren’t your thing (who are you?! ), then maybe mini marshmallows and graham crackers, or bananas and peanut butter chips. There are so many cool ways to make lunch exciting and personalized. 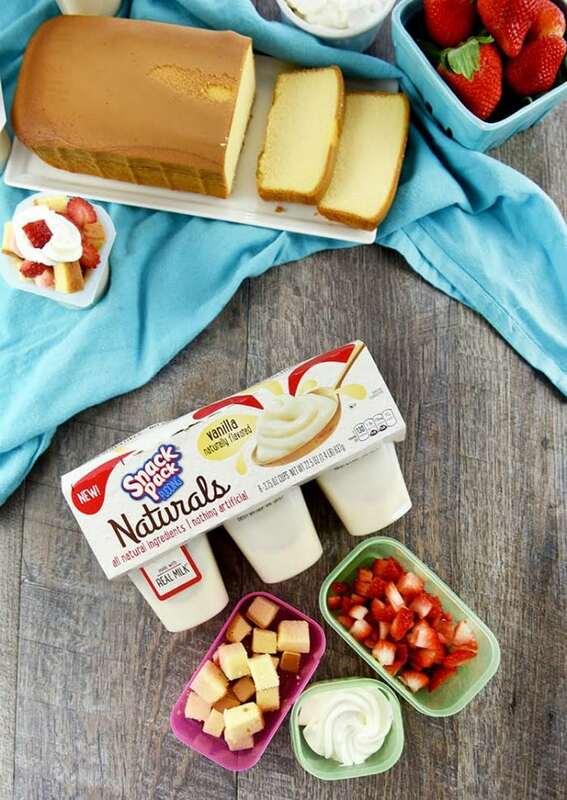 To make the meal for fun (and to keep the cake from turning into a mush-fest. Put the ingredients separately into small containers. Then they can pile it all in however they want! 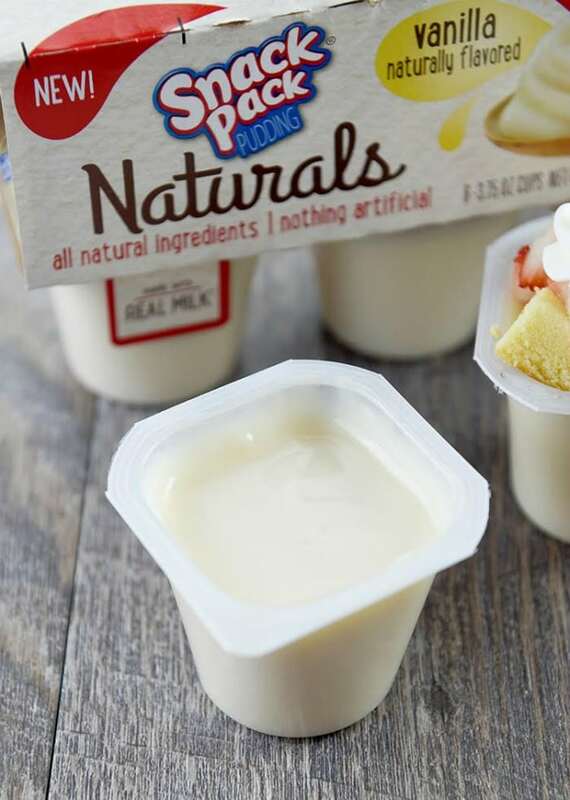 I personally am a “get it all in there” kind of gal, but my oldest would probably pile a little bit of each on the spoon for every bite. I’d love to hear how you would eat yours! 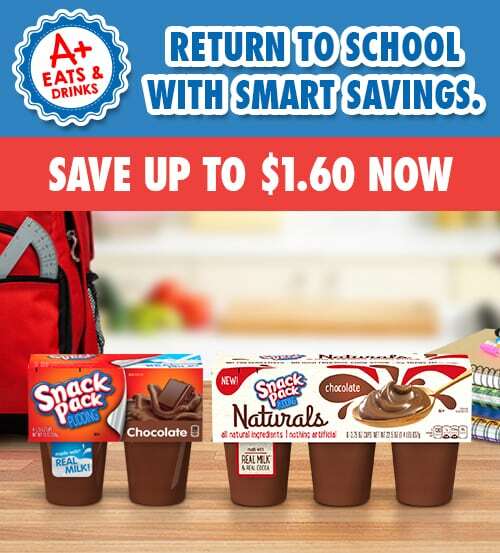 We used Snack Naturals – they come in 6 packs of Chocolate, Chocolate & Vanilla Swirl, Vanilla 6-Packs. 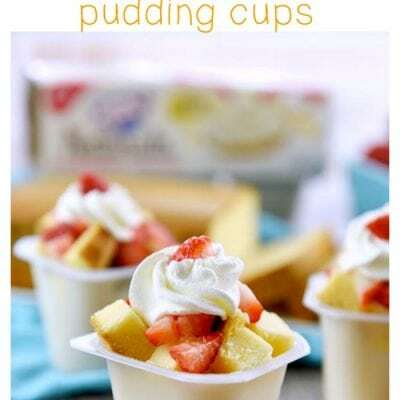 And are the only-Creamy pudding made with All Natural Ingredients like real milk, cocoa and sugar & nothing artificial. These are available at Kroger and your local grocery stores. You can use whatever flavor you like as the base – three of my kids chose chocolate, and the other two chose vanilla! I’m a Chocolate & Vanilla Swirl-girl, personally! 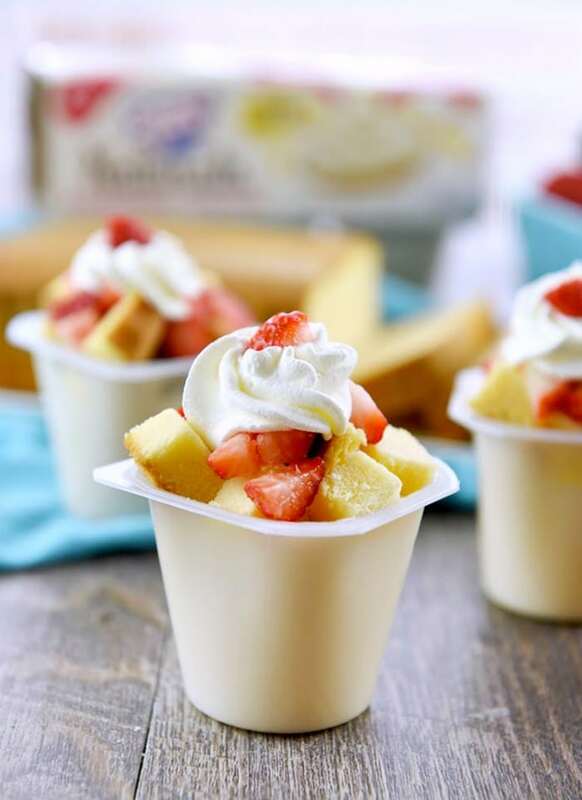 This Strawberry Shortcake Pudding Cups Recipe is the perfect way to make a packed lunch more fun and delicious. If packing a lunch to eat at school or work, place each ingredient in separate water tight containers. Don't forget to include a spoon and a napkin! If serving at the kitchen table, make it up ahead to look pretty, or let your kids go wild building their own by serving each ingredient separately in small bowls. If packing a lunch to eat at school or work, place each ingredient in separate water tight containers. Don’t forget to include a spoon and a napkin! 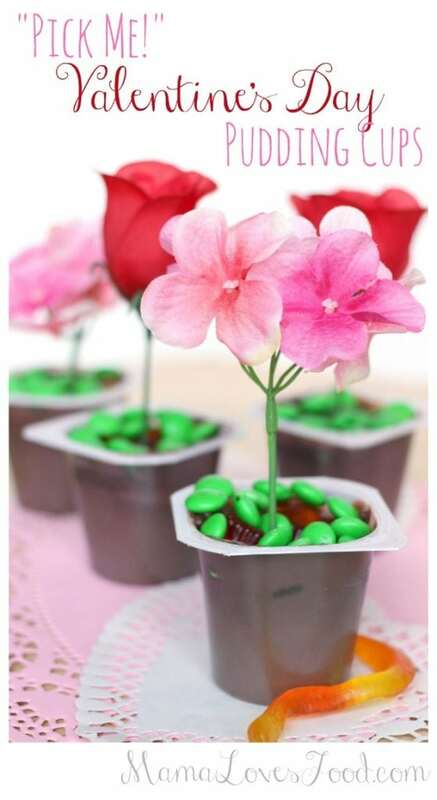 Cute idea for my kids to make on their own. Thanks! 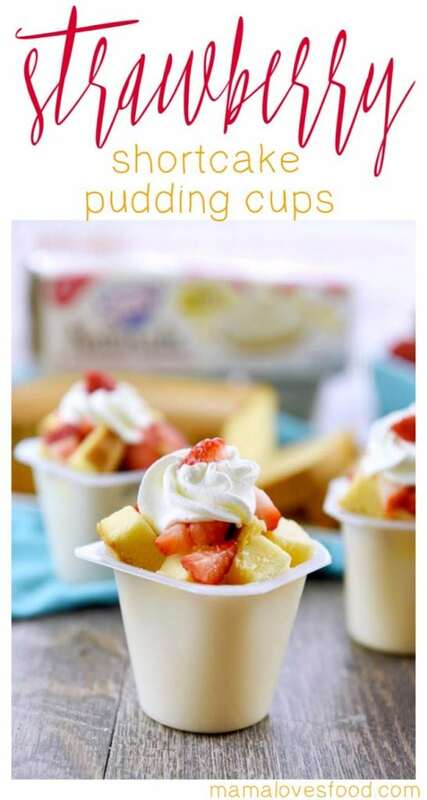 I love the idea and creativity you put into this recipe. My kids loved it and we are going to make it for the birthday party as well!